Smartphones come in all shapes and sizes. They can be affordable or ridiculously expensive. The trick is, working out what you need, so you don’t end up paying over the odds. Our lives have become dependent on our smartphones. With the advent of mobile banking, video calling, social media, browsing the internet and sending emails on the go, we can’t function without them. You could almost be forgiven for thinking that smartphone is synonymous with Apple. After all, they have certainly mastered the art of powerful marketing. They all have their pros and cons (so many we’re not going to go into them here), so it’s important to think about how you’re going to use your phone and then work out which is the best fit. We wouldn’t worry too much about how you’re going to be using it in the future. Smartphones evolve at such a rate that you’ll be replacing yours before you find your current model doesn’t offer the functionality you need. What should you think about? Most models of smartphone offer a still and video camera, GPS, and storage space. Some will be better than others, so it’s important to look at the specifics of each. Size is the next consideration. This comes down to personal preference. The larger phones tend to cost more, but if you find them easier to use, it might be worth the investment. When it comes to storage, you have to consider not only photos and music but also apps. It’s quite common for the smaller storage capacity phones to fill quickly with apps. The best advice is to go for as much as you can afford. Another consideration is whether to buy a phone that’s locked or unlocked. Locked smartphones tend to be cheaper but are on a contract that ties you to one provider for a set period. If you buy unlocked, you’re free to choose your provider and can get a cheaper SIM only contract. This is going to sound like a cop-out, but our advice is to go with the phone that best suits you. Try not to be taken in by the latest flashy advert for an all singing all dancing handset if you’re not going to use most of its features. It’s essential you make a list of priorities, and fix a budget. Then all you have to do is compare phones and the one that gets the most ticks is the one that’s right for you. Don’t forget; the latest, flashiest handset will be old news within a few months. Always go for usability over kudos. MPM Computer Consultancy provides IT Services, Support and Training to sole traders and small businesses in Ipswich, Bury St Edmunds, and surrounding villages. Your phone is tracking every move you make. If you think that turning off your phone’s location history function gives you the freedom to move anonymously, you’d be mistaken. Even with that disabled, Google is still checking your location when you use its services, such as Maps and the weather. When you do a web search, Google is always monitoring your location. Because it needs that data to provide the personalised services we all love (or hate). It looks as though you can’t have it both ways. Those lovely people at BullGuard have provided details about how you can shut down smartphone and location tracking. Your iPhone tracks and records places that you visit most often to provide location-based data and relevant suggestions. Apple calls it Significant Locations tracking. This is applicable across phones and iPads running iOS 11 and up to the more recent iOS 12.1. If you’re not happy with this, you can turn the feature off. Then Location Services at the top. Press System Services, its right at the bottom of the list. You may be asked to enter your passcode, use Touch ID, or Face ID, to authenticate access. Tap the Significant Locations On/Off Switch. When the switch is grey, the tracking feature has been turned off. If you don’t want Windows 10 to track your location, you can tell it to stop. Click Change and, on the screen that appears, move the slider from On to Off. This turns off all location tracking. Scroll to the “Choose apps that can use your precise location” section. You’ll see a list of every app that can use your location. When you turn off location tracking, Windows 10 will still keep a record of your past location history. Even if you use location tracking, you might want to clear your history regularly as there’s no automated way to clear it. Do you know how to mirror your smartphone onto your TV? Technology is changing at a ridiculously fast pace. Trying to keep up with it can be a nightmare, which is why we were pleased to come across this post on BullGuard. It talks about how to mirror your smartphone or tablet onto your TV. That means transferring the videos, films and so on, that you view on your mobile or tablet onto your TV screen. Here are some of the ways you can do this. Apple TV is a set-top box streaming device. It provides a wide selection of apps, an intuitive touch remote and direct access to iTunes. It has a feature called Airplay which allows you to mirror video, audio, and any other content wirelessly from your iOS device to any TV display with an HDMI input. You do this by swiping up from the bottom of the Apple iPhone screen and clicking the Airplay symbol in the quick menu. This looks like a square with a triangle through it. Roku provides a bewildering array of streaming devices. Its newest versions now provide mirroring functionality for Android and Windows devices. The mirroring service is available for Android devices running 4.2 or higher and Windows devices running 8.1 or higher. Your smartphone or tablet must support mirroring though that said most do. Android: For Android devices, there are a confusing number of terms for mirroring. These include Smart View, Quick Connect, SmartShare, AllShare Cast, Wireless Display, HTC Connect, Screen Casting, and Cast. Once you’ve identified the correct terminology, you can usually enable mirroring from the settings menu under ‘network or display’ headings. Windows 8.1 and higher: If you’ve got a Windows 8.1 or higher device check this page for mirroring instructions. It’s simpler than us explaining to you. Amazon’s Fire TV’s latest incarnation, the Fire TV Cube, provides the ability to control most of your home theatre tech with only your voice. Then connect your desired device from your Android phone or tablet. Chromecast: Chromecast has become the go-to device for affordable wireless streaming. For those with 4K UHD TVs, Chromecast Ultra offers 4K streaming in small form factor. A 4K TV provides Ultra High Definition provides eight million pixels to deliver detail, depth and vibrant colour. Chromecast and Chromecast Ultra also feature near latency-free mirroring of anything on an Android smartphone or tablet, including games, photos, video, and more. It can also mirror anything from a Mac or PC’s Chrome browser by simply clicking the Cast button in the corner of your browser. However, Chromecast mirroring doesn’t support iOS content loaded on your device, but it can be used to stream content from apps such as YouTube, Spotify, Netflix, Hulu, and more. Miracast: Third-party Miracast devices from lesser-known companies are available for Android. Miracast is a Wi-Fi certified high-definition wireless protocol. 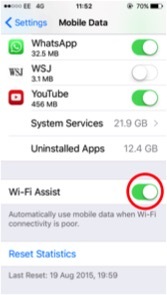 It does not require a Wi-Fi network. Instead, it sets up its private streaming network. It is extremely versatile and offers a host of mirroring capabilities. While it works with Android devices, it is also useful for mirroring PCs. 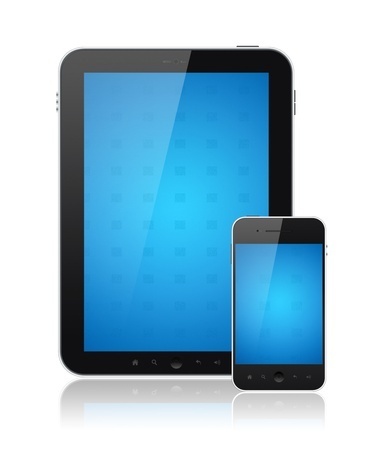 Are iOS Devices Threatening Your Business? 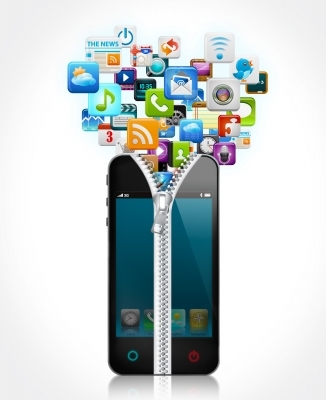 Did you know that only 20% of Apple iOS devices are running on the latest operating system? Running outdated iOS systems leaves you open to well-known vulnerabilities such as Ins0mnia and Quicksand. A report by security provider Duo Security estimates that more than 20 million devices connected to enterprise networks are no longer supported by the device manufacturer. And, because they can’t be upgraded, they pose a real problem. This issue is compounded by the fact that there are numerous devices still on the market that can’t receive updates, so potentially, even new devices could be a security threat. This isn’t a problem that’s just confined to Apple. It is estimated that there are more than 90% of Android devices running out-dated operating systems too. With the number of personal mobile devices being used in the workplace, Duo Security warn that IT professionals must be aware of the risks and how to sort them quickly. The only way this can be addressed effectively is for the device users to take some responsibility. Failure to do so can potentially open up organisations to malware and other forms of attack. This is no longer something that can be ignored by businesses. Management and employees must work together to ensure the security of data and avoid embarrassing breaches. Author itsupportbloggerPosted on March 30, 2016 March 29, 2016 Categories Apple, Data Management, Internet security, iPhone, Mobile security, smartphonesTags Android, data breaches, data security, iOS security threats, security for dataLeave a comment on Are iOS Devices Threatening Your Business? The news has been awash recently with details about Apple’s reluctance to create software that will hack an iPhone at the will of the FBI. Depending on where you stand on the moral issue of helping your country to catch terrorists, it’s a major leap for a company like Apple to place their customers’ security and privacy first. That, in part is why the i-family of gadgets has been so popular – because the biggest risks to your security are not remote attacks, but personal theft. Even if you’re unlucky enough to have your phone or tablet stolen, assuming the thief doesn’t know your passcode, your data is pretty safe because 10 failed attempts at your code and the contents of your phone are wiped clean. To give you peace of mind, here are a few basic things you can do to keep your personal data safe. If you prefer, you can use a password instead of a passcode to ensure a higher level of security, but you will need to enter the combination of letters and numbers to unlock your iPad or iPhone, so most people stick with the passcode. Find My iPhone is an app and service that you can install to locate an iOS device if it has gone missing. 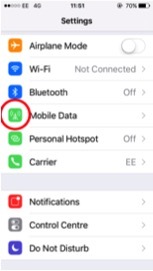 It also enables you to remotely wipe an iPhone or iPad, or send a message to it in the hope of retrieving a lost iPhone or iPad. Open the App Store and Find My iPhone. Install the app. Open the Find My iPhone app on an iPad or iPhone and log in to see where all your devices are. Note that this service can also be accessed from Apple’s iCloud website. The iPad can be used to save your passwords and credit card details. Before doing this it is considered advisable to set up a passcode first, as an additional security measure. When you next visit a website in Safari, and enter your name and password, a popup will appear asking if you want to save the password. Tap on Save Password and the password will be stored locally in the iPad. You can now view the Website, Username and Password details on the iPad. If you have several Apple devices and want to use Safari to save your passwords, then you can use iCloud Keychain to synchronise your passwords from one device to another. So if you enter a password into a website on your iPhone, it will automatically be added to your iPad. Your iPad or iPhone will now have all the usernames and passwords that have been stored on your Mac (and vice versa). You can also do the same thing with your iPhone to sync between all your devices. If you don’t have a Mac you can use an iPhone to authorise the iPad or vice versa, just follow the Notification pop-up and enter your Apple ID and Password on the device. You can be contacted anywhere, respond to emails anywhere, keep up with your social connections anywhere. OK, at times this constant connectedness leaves you hankering for the good old days when mobiles didn’t exist, but to be honest, you’d be lost without your smartphones. However, smartphones do have one draw back – FOFB – fear of a flat battery. Yes, you can guarantee, when you need your phone the most, your battery will die leaving you incommunicado. It’s even more annoying when you’ve hardly used your phone all day. 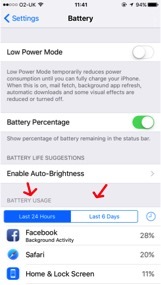 Recently, Facebook as been revealed as one of the top iPhone battery guzzlers with some users complaining that background activities zap over 20% of their battery’s life. It’s this background app activity that’s usually to blame, so how can you find out which apps are draining your battery? You can see how much battery each app has used over the last 24 hours or 6 days. Once you have this information you can decide on your best strategy for saving battery life. That could be closing Facebook while you’re not using it, or turning off the app’s use of your location. Hopefully, that should help you identify which app or apps is stealing your battery life so you can enjoy a happier relationship with your iPhone. 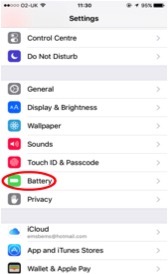 Author itsupportbloggerPosted on December 2, 2015 December 1, 2015 Categories IT Support, smartphones, Social MediaTags battery life, iPhone battery life, smartphone usageLeave a comment on What’s Draining Your Battery? 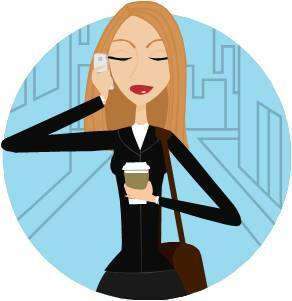 Do You Suffer From the Smartphone “Always On” Culture? I bet you check your work emails on it when you’re supposed to be on holiday. You probably break out in a cold sweat when you realised your hotel doesn’t have wi-fi, you don’t have a phone signal, or you realise your phone’s battery is getting perilously low. If so, you’re suffering from “always on” smartphone addiction. Admittedly, some find smartphones liberating because they release them from the nine-to-five working environment, releasing them to something more flexible giving them more time to spend with friends and family. For others they are a curse because they find it impossible to switch off and relax. Dr Christine Grant, an occupational psychologist at Coventry University’s Centre for Research in Psychology, Behaviour and Achievement, told the BBC: “The negative impacts of this ‘always on’ culture are that your mind is never resting, you’re not giving your body time to recover, so you’re always stressed. Women in particular were susceptible to doing a full day in the office, coming home to make tea and look after the kids, then putting in a late shift before going to bed. Dr Alasdair Emslie, president of the Society of Occupational Medicine, agrees, saying: “Every year about 400,000 people in the UK report work-related stress at a level they believe is making them ill. The blurring of the line dividing work and leisure brings with it another potentially serious consequence for companies. Under the European Working Time Directive there is a 48-hour limit to the working week and you’re meant to have an 11-hour break every 24-hour period. If you’re checking texts and emails first thing in the morning and last thing at night, it’s pretty easy to bust those limits. This jeopardises companies’ duty of care towards their employees. Research shows that more than half of workers feel they are expected to work faster and hit deadlines sooner as a result of this new connectedness, while nearly half believe their employers now expect them to be available any time, anywhere. 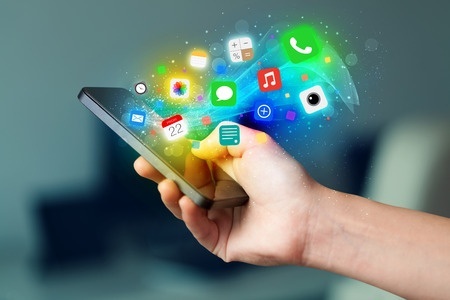 Mobile phone and other technology companies argue that mobile connectivity is entirely beneficial, not harmful, and many younger people, office workers, and self-employed would agree. “Smartphones and tablets… enable agile and flexible working which benefits both employers and employees alike,” says Graham Long, vice president of enterprise business team at Samsung UK. The key is making this new flexibility work for you and being disciplined about your smartphone usage. So if you’re getting ready to hit the beach, set up those “out of office” email alerts, switch off your phone and put it out of reach when you go to bed. Author itsupportbloggerPosted on November 12, 2014 November 11, 2014 Categories smartphonesTags always on culture, smartphone syndrome, work life balanceLeave a comment on Do You Suffer From the Smartphone “Always On” Culture?